This visually stunning book opens the doors to a forgotten world of industrial history. 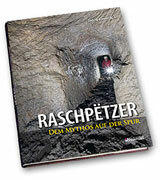 This book gives for the first time a full overview of the whole mining industry in Luxembourg. Exciting informations with staggering photography. An outstanding book that covers not only the remaining fortifications and casemates in Luxembourg build over centuries with excilling photography, but offers also an exciting reading experience. A absolutely stunning book with a sumptuous collection of visual content documenting the wild Icelandic landscape from any possible perspective and angle. Featuring pictures from under water, ice and lava caves, aerial views, islands, coastlines, highlands, glaciers and of active volcanoes. A must-have for the real adventurer! An extraordinary book with plenty of stunning pictures about the gallo-roman age in Gallia Belgica, the origins of qanats and the captivating story about the myth of the Raschpëtzer and their archaeological excavation, becoming Luxembourg's most exciting historical discovery. 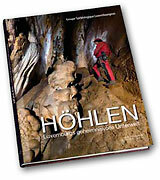 A beautiful book with plenty of stunning pictures and fascinating stories about the origins, history and exploration over a period of 50 years of cave discoveries and exploration in Luxembourg.